On each visit to IKEA I find more and more things to love. 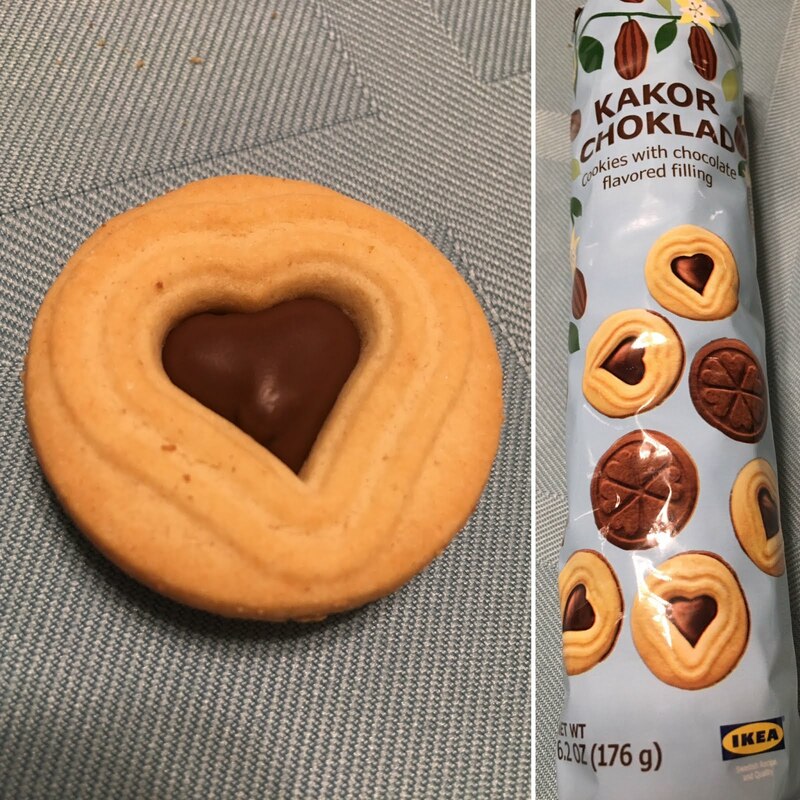 Like most stores do, IKEA places some tasty treats near the checkout so you're tempted to purchase them as you stare at them while you wait in line. These little biscuits with chocolate filling caught my eye, so I thought I'd give them a try. They were a nice little treat - not overly sweet. Perfect with a little cup of tea or coffee. They'll definitely be a regular in my cart on future visits.